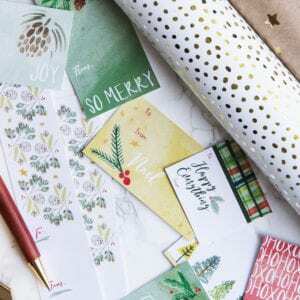 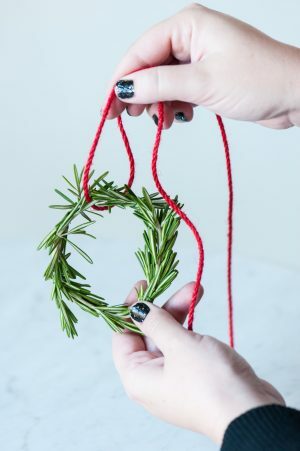 If you’re still looking for a few pretty ideas for decking the halls, I have one last holiday DIY idea to share with you today! 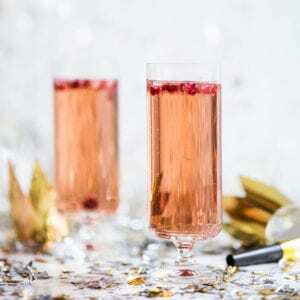 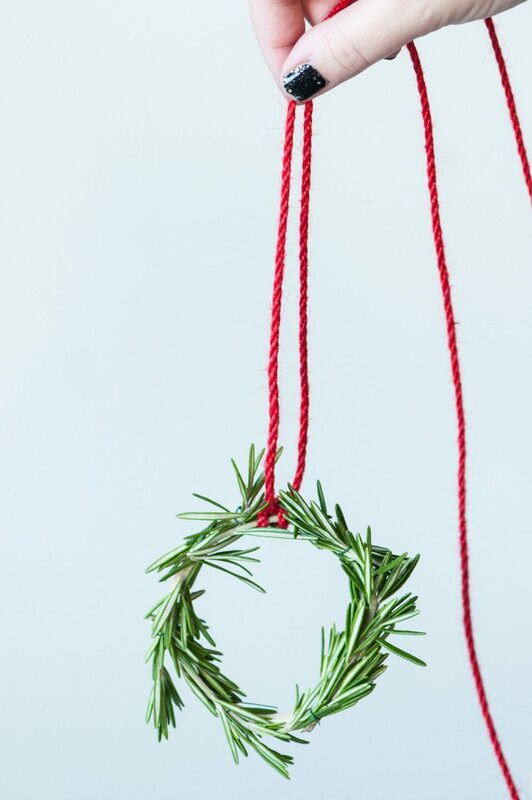 And in the spirit of all things last minute, we’re keeping this one appropriately simple. 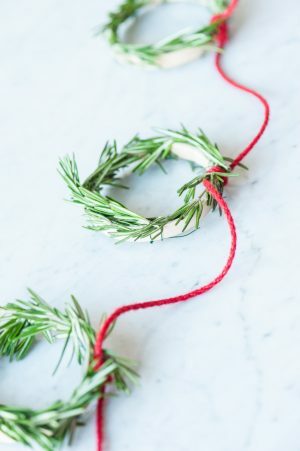 It’s the sweetest little rosemary wreath garland made with tiny little embroidery hoops and it’s seriously adorable to boot. 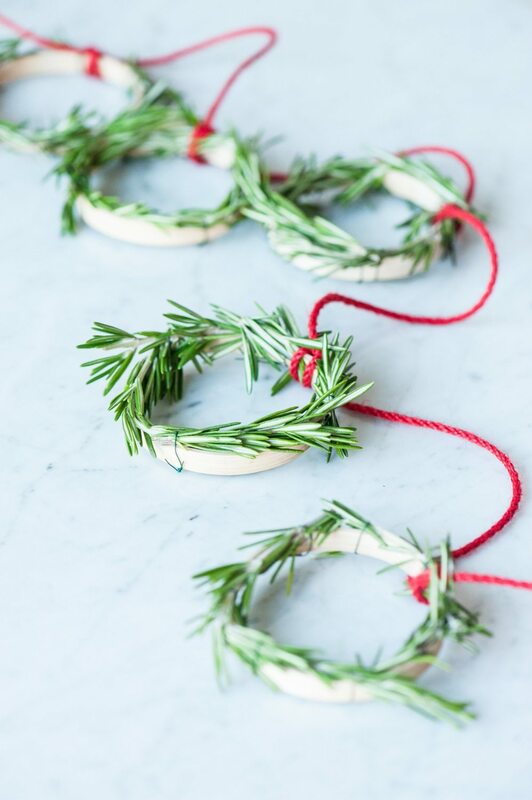 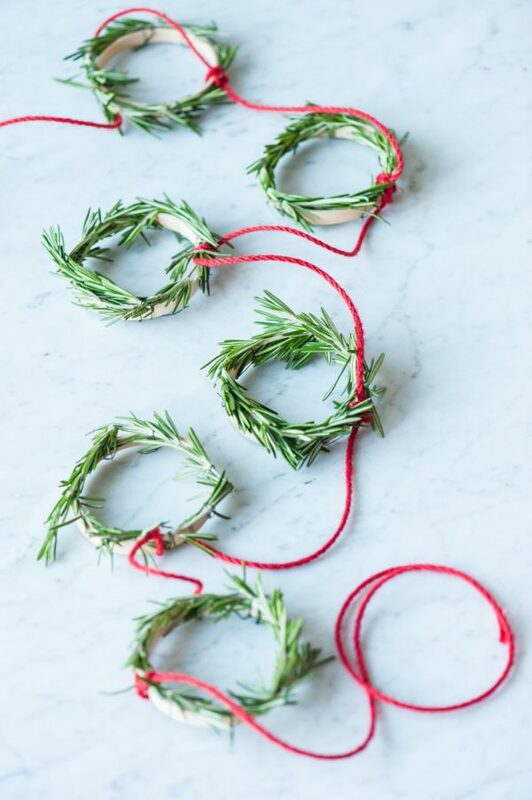 You could also nix the garland and use these little wreaths as ornaments, too! 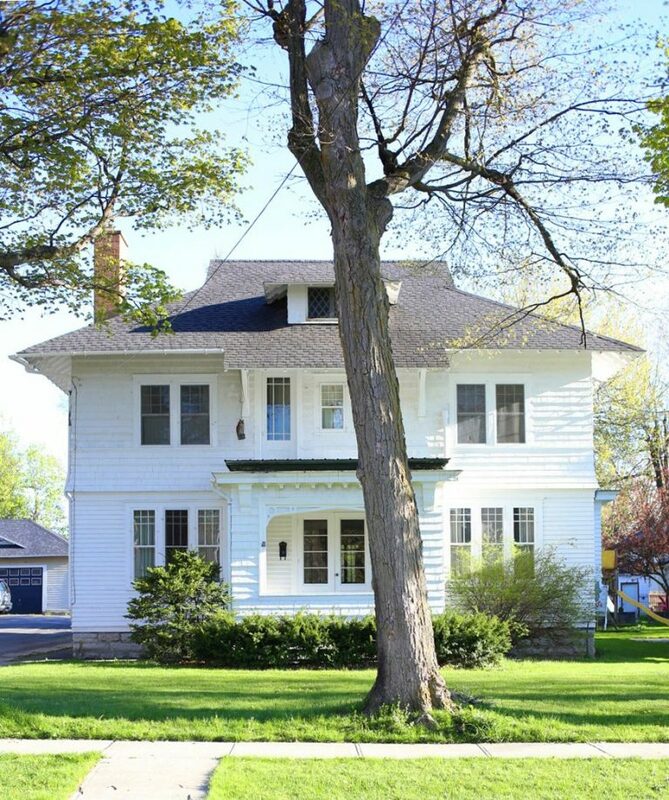 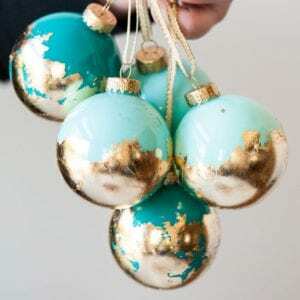 So so pretty, don’t you think? 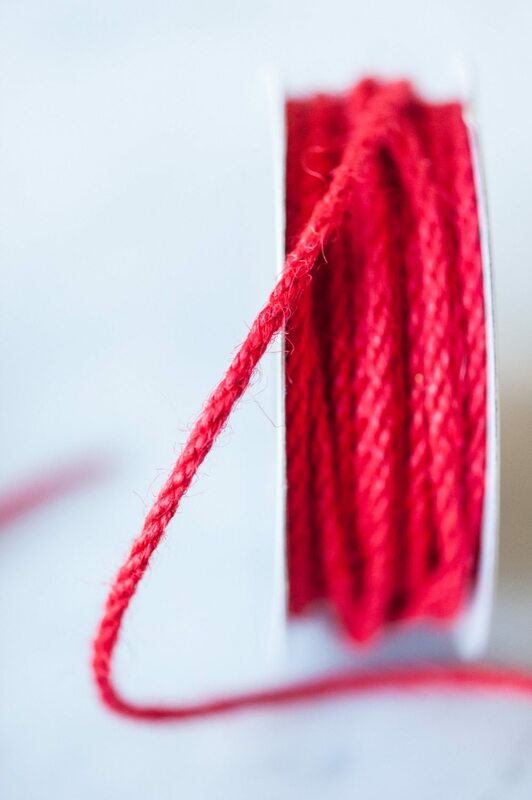 Begin by separating the two pieces of your embroidery hoops. 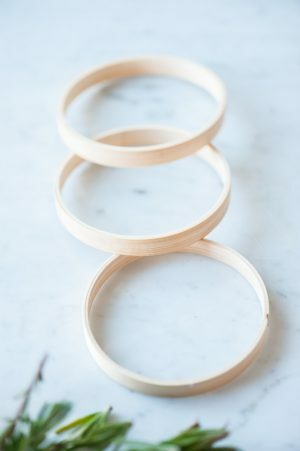 For our purposes we will only need to smaller, inner hoop without the clamps. Then cut several lengths of floral wire about 3″ in length to have ready as you work. 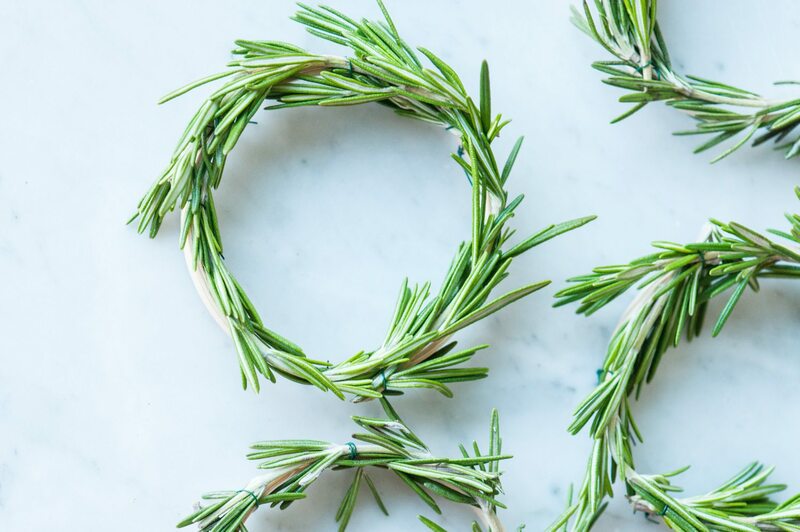 For each wreath you’ll want approximately 5 or 6 sprigs of fresh rosemary. 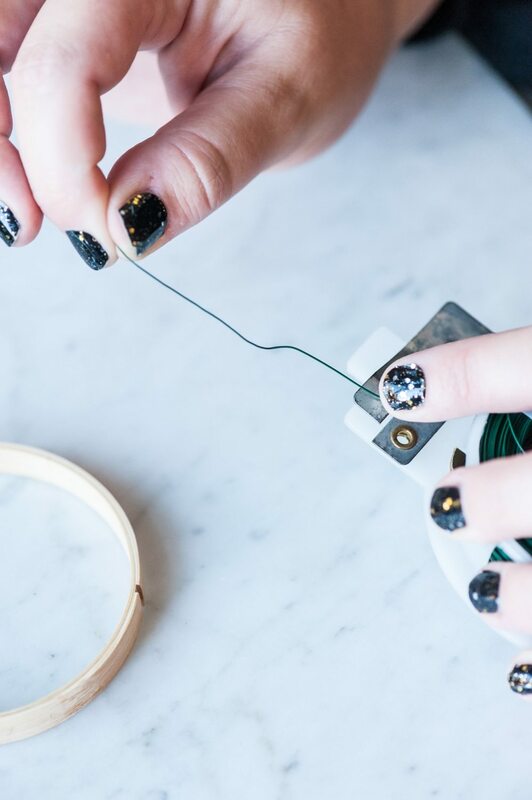 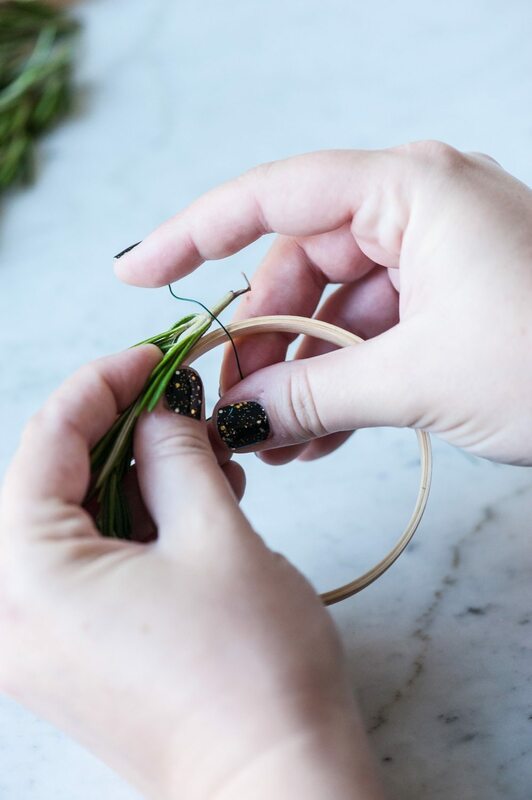 Begin with the first sprig, twisting a piece of floral wire tightly around the stem to secure it to your embroidery hoop. 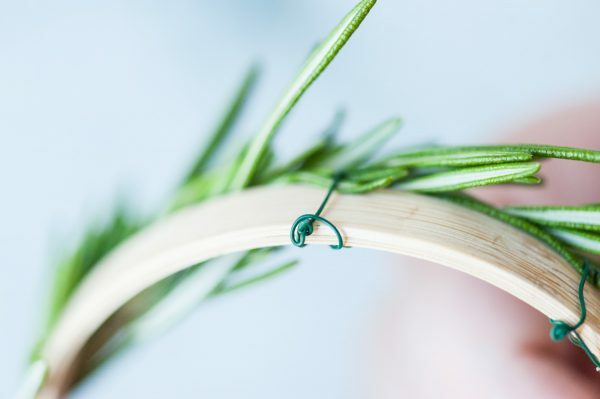 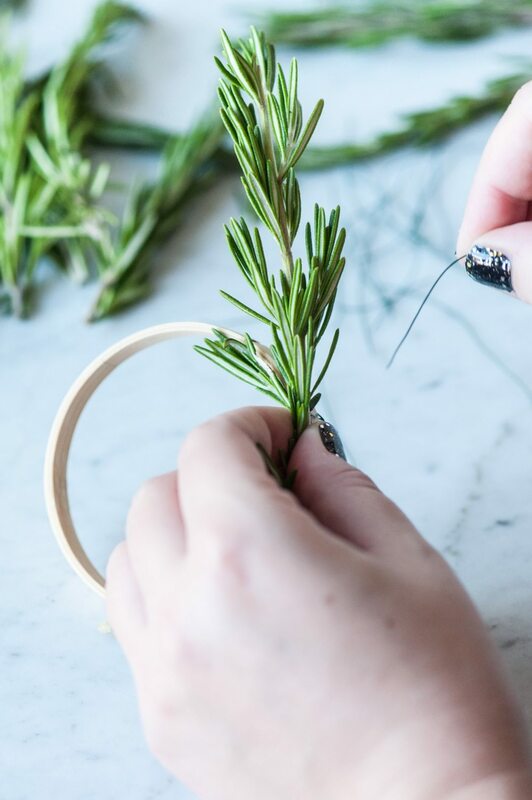 Gently bend the rosemary around the hoop, securing it with floral wire every inch or two as you work. 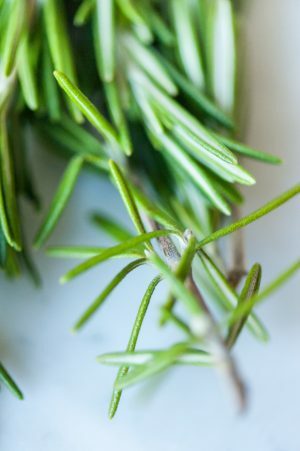 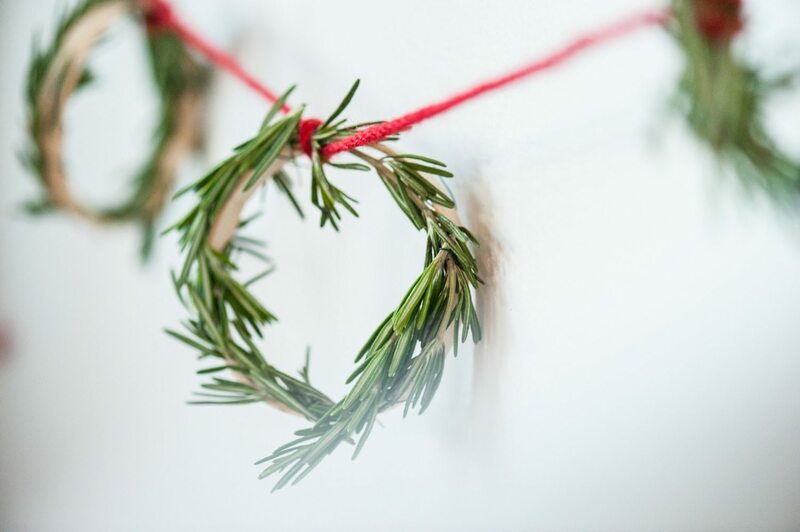 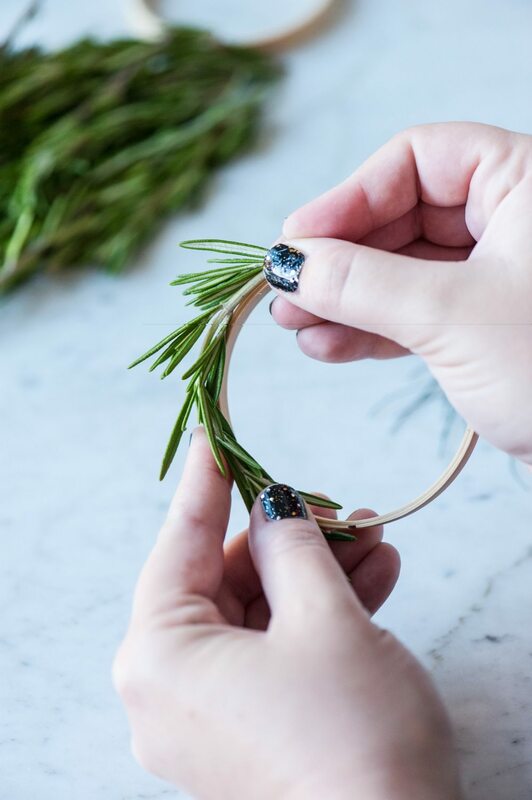 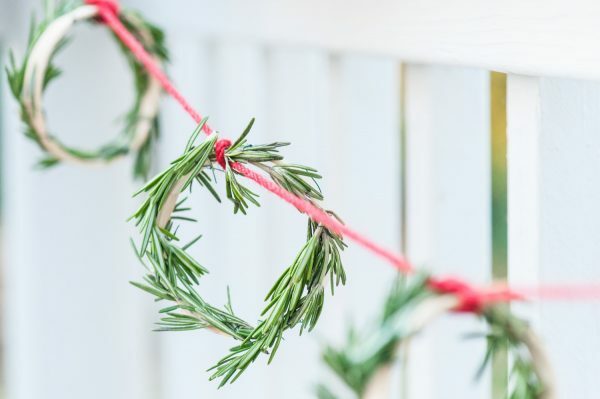 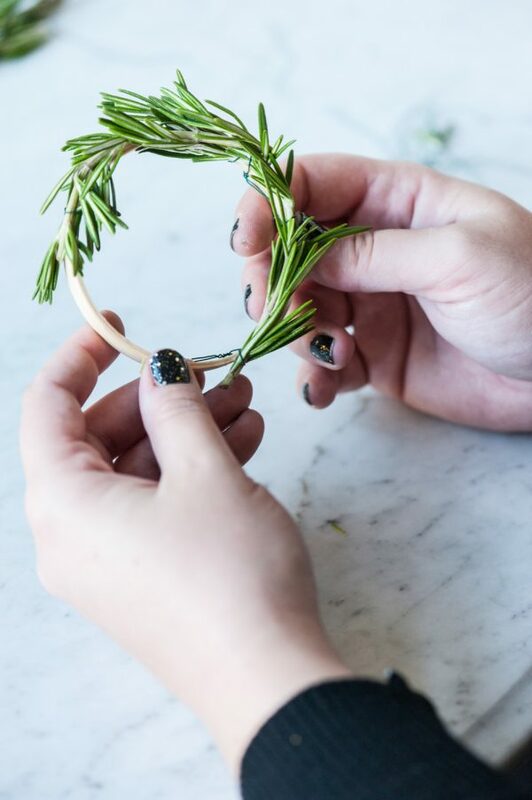 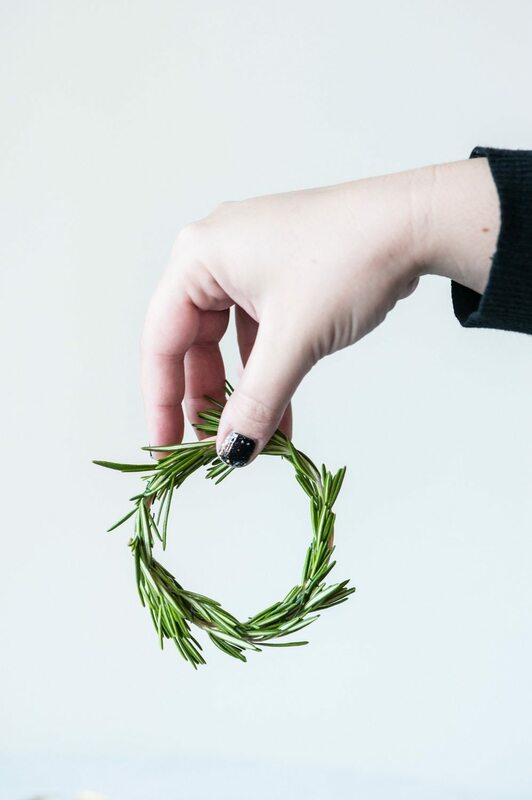 When it comes time to add the second piece of rosemary, be sure the stem is tucked underneath the first piece so it overlaps to give it the most wreath-like look. Continue working in this fashion until the hoop is covered, then snip off the excess ends of floral wire. 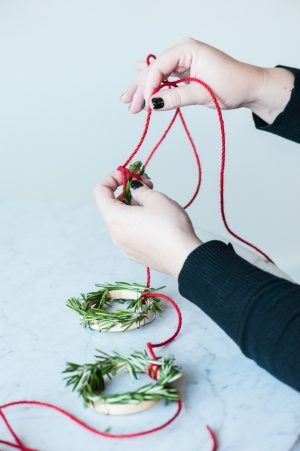 At this point you could add a simple loop of twine or ribbon and you’ll have some really cute ornaments! 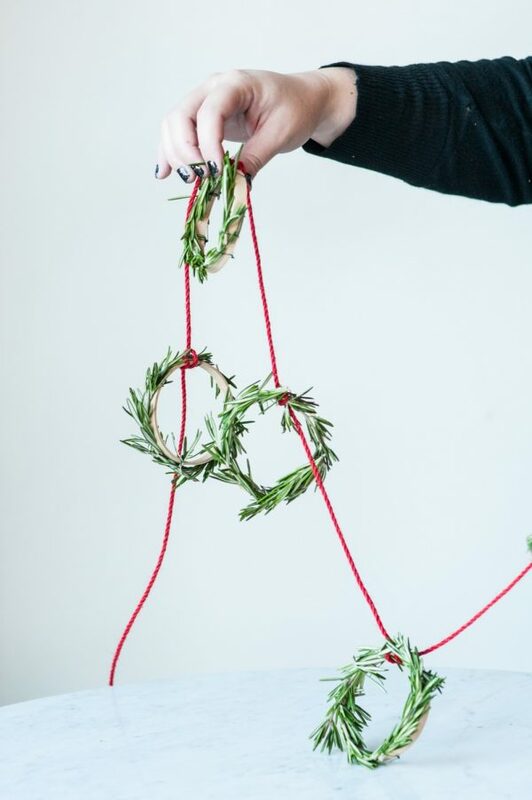 Or you can take it one step further and make a cute little garland like mine. 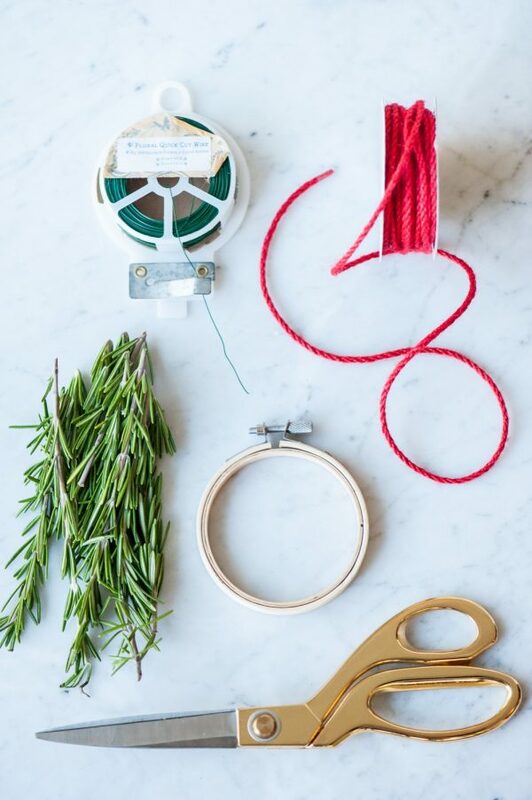 To do so I cut a long length of red twine about six feet long, then folded it in half to find the middle. 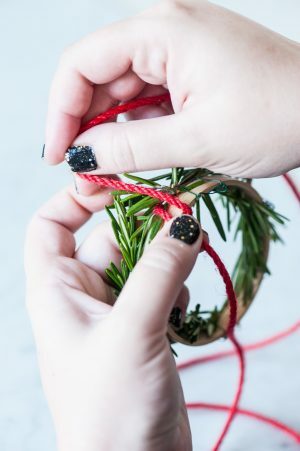 Thread the twine through your first wreath so that it rests right at the middle point of your garland, looping and knotting the twine to hold the wreath in place. Then work outward in either direction, spacing the wreaths evenly as you go. 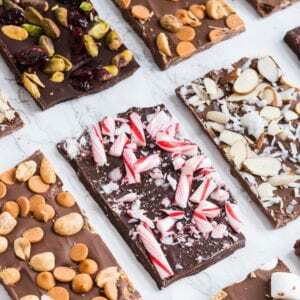 And there you have it, friends! One very festive little Christmas garland that’s really a cinch to make. 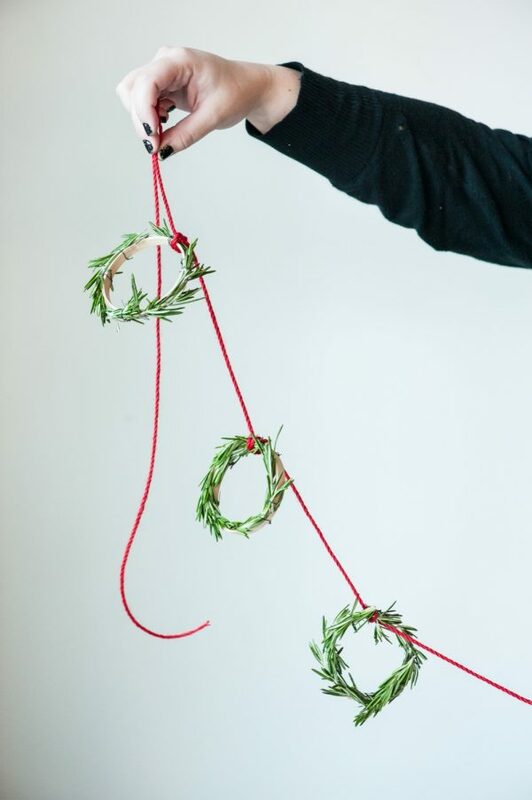 Also, if you haven’t noticed, I’m kind of a junkie when it comes to Christmas DIY ideas. 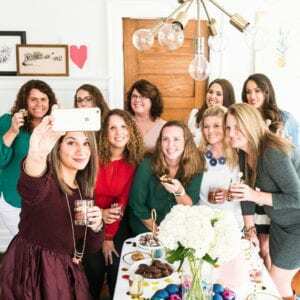 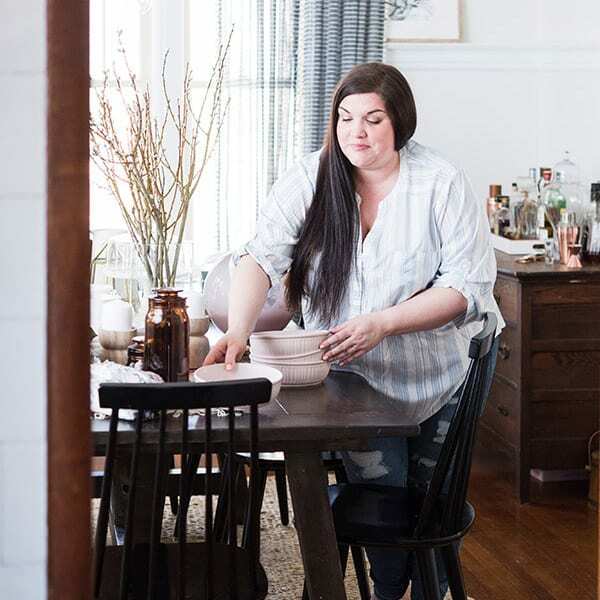 You can check out all of my holiday DIY tutorials and follow along over on Instagram with the hashtag #thesweetestholidays!